142 pages | 57 B/W Illus. Offering a unique, reflexive framework for Critical Discourse Analysis focused on discourses of hope, transformation, and liberation, this book showcases a variety of powerful literacies in action. Drawing from original research in a range of public, educational spaces across the lifespan—from Kindergartners studying social justice movements, to sixth graders designing a social justice museum exhibit focused on the environment and sustainability, to teacher education students practicing racial literacy in response to the death of Michael Brown in Ferguson, Missouri—Rogers makes the case that critical social theories often associated with Critical Discourse Analysis have not kept pace with a recent shift toward the positive, referred to as Positive Discourse Analysis. Encouraging readers to reconsider their understanding of concepts such as power, action, context, critique, and reflexivity, this book illustrates the potential of theorizing discourse analysis from a positive orientation. 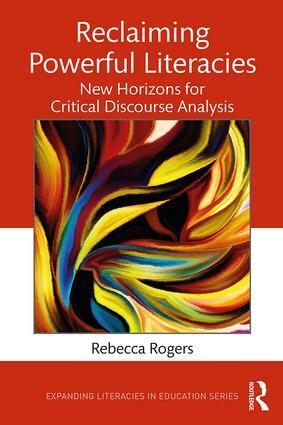 "Rebecca Rogers’ book takes the field of literacy studies into new ground. Richly theorized and beautifully illustrated through compelling examples of situated practice, it demonstrates how teachers might enable powerful literacies whereby students and teachers can work together to learn about social justice and take action." Rebecca Rogers is Professor of Education at University of Missouri–St. Louis, USA.